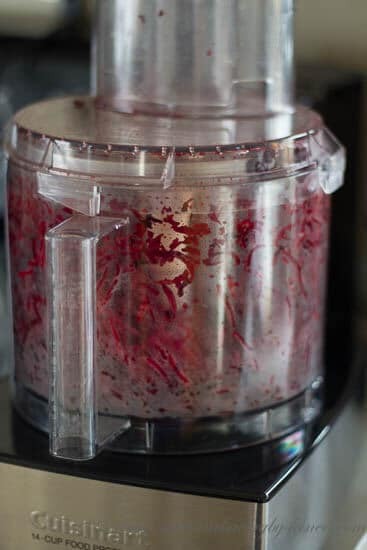 I have expressed my love for beets in a few of my juicing posts on my blog. 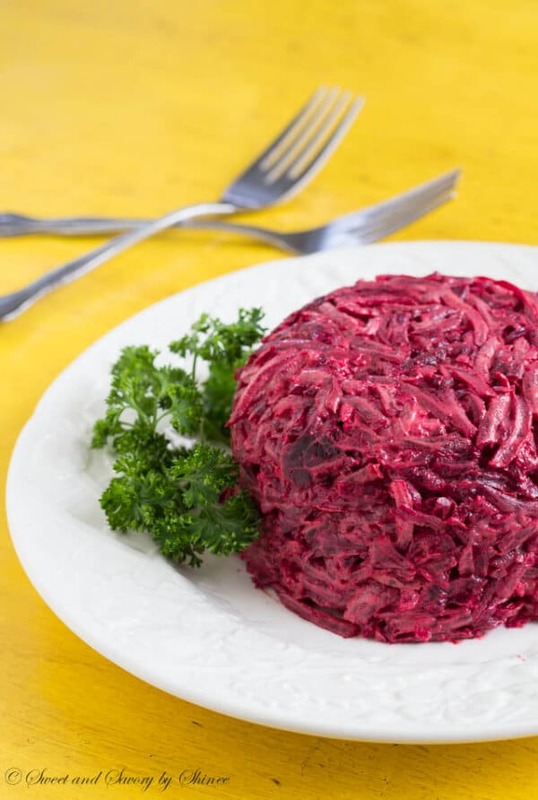 Today, I wanted to share with you another way I truly enjoy this fantastic root vegetable. This salad is absolutely delicious with creamy, garlic-y flavor. 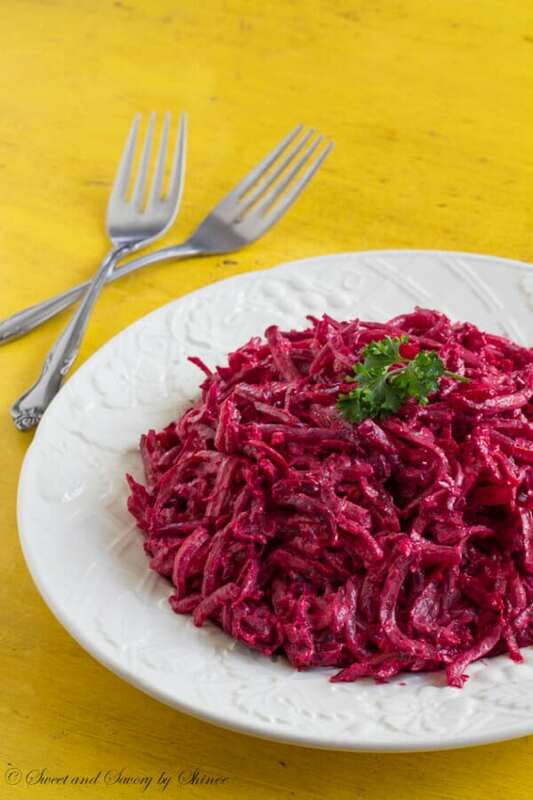 Roasting the beets beautifully brings out the true beet flavor and doesn’t cause mushy texture. 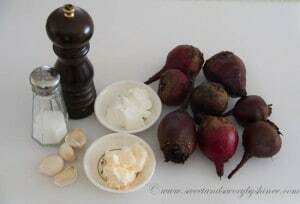 Here is how I cook my creamy beet salad. 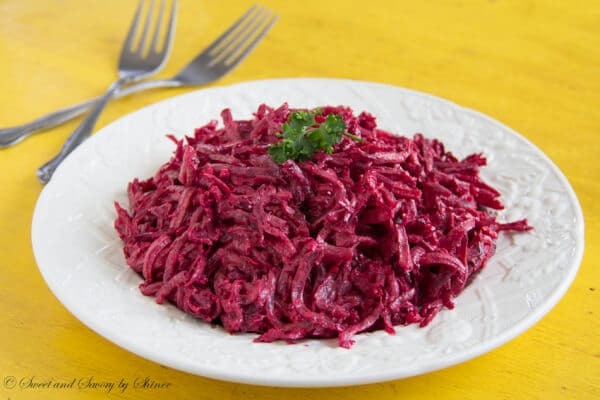 Creamy beet salad is absolutely delicious and a great alternative to a regular beet salad. 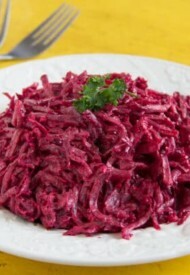 Cooked al dente, the roasted beets bring nice texture and flavor! 2. 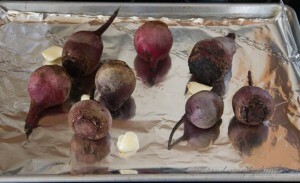 Place the beets and 2-3 garlic cloves on a greased baking sheet. Roast the beets for about an hour, or until fork tender. 3. 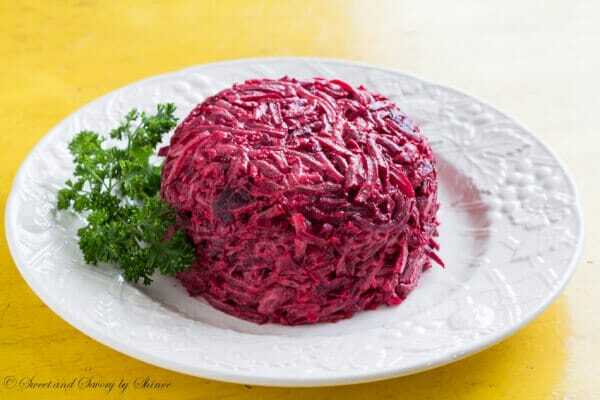 Once the beets are cooked and cooled, peel them and grate them. Mince the remaining one garlic clove. 4. 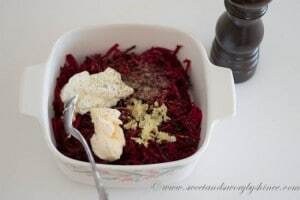 In a medium bowl, combined grated beets, sour cream, mayo and minced garlic. Salt and pepper to taste.